(스케넥터디, 뉴욕주 2019년 3월 11일 PRNewswire=연합뉴스) 기능성 첨가제, 공정 솔루션, 의약품 및 화학 중간재 분야의 세계적인 개발·제조사 SI그룹(SI Group)[https://www.siigroup.com/ ]은 동사의 새로운 사장 겸 최고경영책임자에 데이비드 브래들리(David Bradley)를 2019년 3월 18일부로 선임한다고 오늘 발표했다. 데이비드는 SK캐피털파트너스의 디렉터로서 동사 임시 CEO였던 데이비드 메자노테의 업무를 이어받게 된다. SK캐피털의 설립자 겸 매니징디렉터 배리 시아다트는 "데이비드는 화학 업계의 상장사와 비상장사들을 현장에서 수십 년 동안 이끌어 온 경험을 통해 그 실력이 입증된 인물"이라면서 "지금이 새로운 리더가 SI그룹의 키를 잡을 완벽한 시점이다. 데이비드가 가진 강력한 리더십, SI그룹 시장에 대한 해박한 지식과 업계 경험은 미래의 회사 성장에 딱 필요한 덕목"이라고 말했다. 데이비드 브래들리는 "더 큰 성장과 수익을 올릴 수 있는 엄청난 잠재력이 있는 SI그룹을 이끌게 되어 영광이며 기쁘다"면서 "SK캐피털 및 경영진과의 협력 안에서 회사의 독자적인 제품 포트폴리오, 전 세계에 퍼져 있는 제조 기지, 성장 전략을 수행할 탁월한 재능의 직원들을 활용하게 되어 기대가 크다"고 말했다. 브래들리는 텍사스주 휴스턴에 기반을 두면서 화학제품, 플라스틱과 환경 서비스를 전 세계에 유통하는 상장사 넥세오솔루션스의 사장 겸 최고경영책임자를 가장 최근 역임한 후 SI그룹에 합류한다. 그 이전에 그는 크레이튼퍼포먼스폴리머스에서 7년 동안 최고운영책임자로 있으면서 사업의 의미 있는 세계적 변신을 주도했다. 브래들리는 루이빌대학에서 화학공학 학사 학위를 받았으며 GE플라스틱스에서 직장 생활을 시작했다. 잭 노리스 SK캐피털 매니징디렉터는 "우리가 SI그룹의 차기 리더를 물색하고 있는 동안 임시 CEO로서 탁월한 리더십을 보여준 데이비드 메자노테에게 감사하고 싶다"면서 "그는 회사의 단기적인 중요 업무에 집중하면서도 사업의 일관성과 전략적 조언을 제공했다. 데이비드 브래들리가 변화의 과정을 원활하게 수행함으로써 이 모멘텀을 지속할 수 있기를 기대한다"고 덧붙였다. SI그룹 경영진의 프로필은 http://www.siigroup.com/leadership.asp에서 볼 수 있다. SI그룹은 기능성 첨가제, 공정 솔루션, 의약품 및 화학 중간재를 개발·제조하는 세계적인 기업으로서 플라스틱, 유전, 고무, 연료와 윤활유, 유효 의약품 원료 및 산업용 레진 업계에서 강력한 시장 입지를 갖고 있다. SI그룹의 솔루션들은 수많은 산업 및 소비재의 품질과 기능에 중요한 역할을 한다. 뉴욕주 스케넥터디에 본사가 있는 SI그룹은 5개 대륙에 30개 이상의 제조 시설을 운영하고 있으며 연간 매출액은 약 20억 달러이고 전 세계에 3천명 이상의 직원을 두고 있다. SI그룹은 SK캐피털파트너스[https://skcapitalpartners.com/ ]의 포트폴리오 회사이다. 2018년 SI그룹은 에코바디스로부터 기업의 사회적 책임 부문에서 세 번째 은상을 받았으며 전 세계 4만5천개 이상의 회사 중 상위 7% 안에 들었다. SI그룹의 모토는 더서브스탠스인사이드(The Substance Inside)이다. 상세 정보가 필요할 경우 www.siigroup.com을 방문하기 바란다. 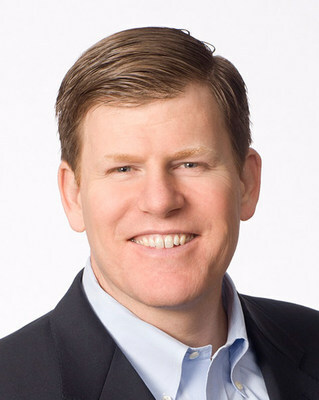 SCHENECTADY, New York, March 11, 2019 /PRNewswire/ -- SI Group [https://www.siigroup.com/ ], a leading global developer and manufacturer of performance additives, process solutions, pharmaceuticals and chemical intermediates, announced today the appointment of David Bradley as the company's new President & Chief Executive Officer, effective March 18, 2019. David will assume the role held by interim CEO, David Mezzanotte, Director at SK Capital Partners. "David has a proven track record in the chemical industry with decades of experience leading both public and private companies," said Barry Siadat, a founder and Managing Director of SK Capital. "This is the perfect time for a new leader to take the helm of SI Group. David's strong leadership, deep understanding of SI Group's markets, and industry experience is exactly what is needed for the next chapter of the company's growth." "I am honored and excited to lead SI Group, which has tremendous potential for higher growth and profitability," David Bradley stated. "In partnership with SK Capital and the executive team, I look forward to leveraging the company's unique product portfolio, global manufacturing base, and exceptional talent in executing our growth strategy." Bradley comes to SI Group having most recently served as President and Chief Executive Officer of Nexeo Solutions, a publicly held, international distributor of chemicals, plastics and environmental services based in Houston, Texas. Previously, he spent seven years at Kraton Performance Polymers where he held the role of Chief Operating Officer and led a significant global transformation of the business. Bradley holds a B.S. in Chemical Engineering from the University of Louisville and began his career at GE Plastics. Jack Norris, Managing Director of SK Capital, added, "We wish to thank David Mezzanotte for his outstanding leadership as interim CEO while we finalized the search for SI Group's next leader. He provided continuity and strategic counsel, all while keeping the company focused on its near-term priorities. We look forward to David Bradley continuing this momentum with a seamless transition." SI Group leadership biographies may be found at http://www.siigroup.com/leadership.asp. SI Group is a leading global developer and manufacturer of performance additives, process solutions, pharmaceuticals and chemical intermediates, with strong market positions in the plastics, oilfield, rubber, fuels & lubricants, active pharmaceutical ingredients and industrial resins industries. SI Group solutions are critical to the quality and performance of countless industrial and consumer goods. Headquartered in Schenectady, New York, SI Group operates more than 30 manufacturing facilities on five continents with approximately $2 billion in annual sales, and more than 3,000 employees worldwide. SI Group is a portfolio company of SK Capital Partners [https://skcapitalpartners.com/ ]. In 2018, SI Group received its third silver award for corporate social responsibility by EcoVadis and is ranked among the top seven percent of more than 45,000 worldwide companies. SI Group is The Substance Inside. For more information, please visit www.siigroup.com. Copyright © mople.kr All rights reserved.